Plastic waste has become one of the most serious problems for our planet. Well, most of us dispose plastic into the trash can after use but for a Dutch couple it has turned out to be the most valuable resource for their project. In an effort to promote zero waste living, Liesbeth and Edwin ter Velde of the Clean2Antarctica project will be making an adventurous journey all the way to South Pole. 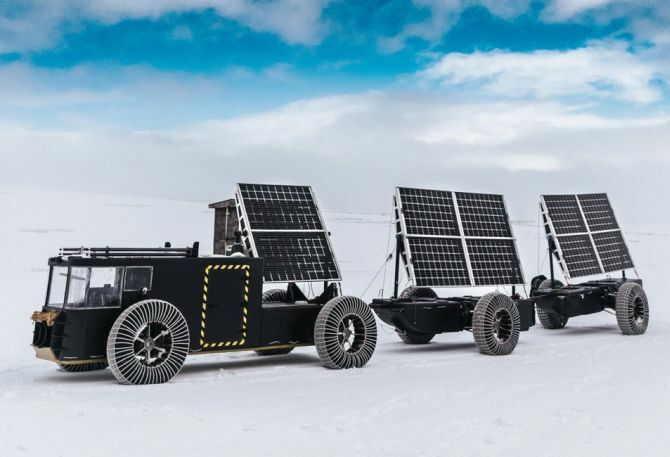 The couple will be driving Solar Voyager, a solar-powered vehicle which is built from recycled plastic waste.